Michigan Made: Chicken Pot, Chicken Pot, Chicken Pot Pie! It's been really f-ing cold lately. Like really, unbearably, terribly cold. In summation: "It's cold in the D!" (yeah, I said it). Therefore I want filling, warm, comfort food. Enter the Chicken Pot Pie. Downfall of this amazing comfort food is it is not usually that all that good for you, so I was reluctant to make it. But then I found this awesome recipe from one of my favorite food blogs Eat Yourself Skinny and had to try it. 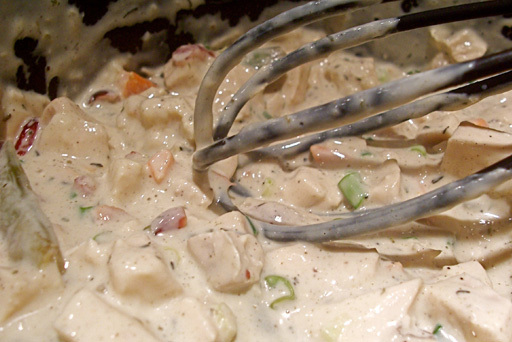 It is a slimmed down version of a chicken pot pie. Happy? Yes. Excited to try it? You bet. So let's do this. First off, preheat your oven to 425F. Part of what made this recipe so great was that we had leftover chicken anyway, so I didn't have to worry about cooking it. After everything is chopped, in a medium saucepan whisk together the half and half, broth, flour, poultry seasoning and thyme. Bring to a boil, then reduce to a simmer...continue to whisk for about 4 minutes until the sauce has thickened. 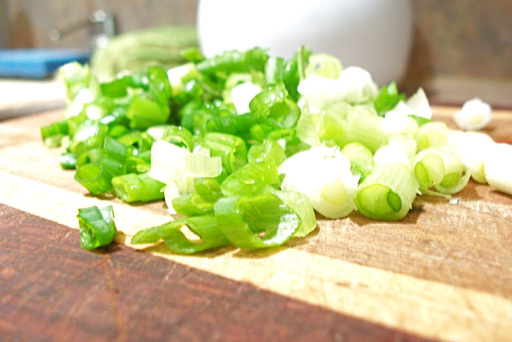 Remove from heat and add your veggies, chicken, green onions and salt and pepper. Cover and set aside. On a lightly floured surface roll out the biscuits into about 4 inch rounds. 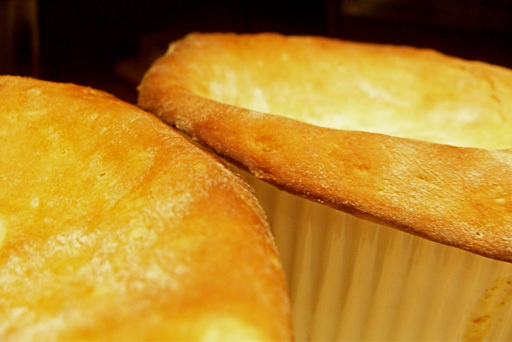 Spray each of the ramekins with cooking spray. 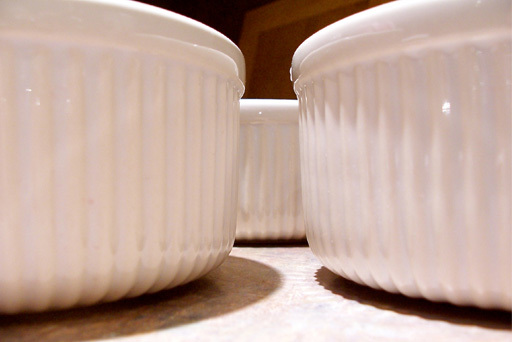 Evenly fill the ramekins with the chicken mixture. Cover each ramekin with the rolled out biscuit. 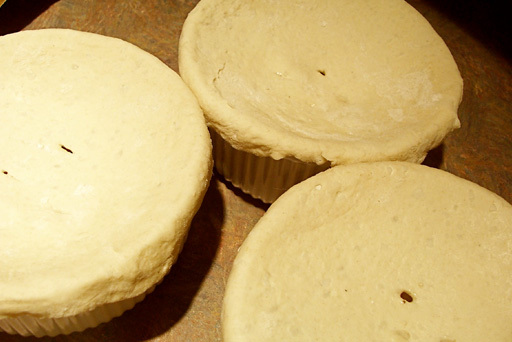 Press the dough to the edges of the ramekins to hold in place, then cut 4 holes in the top of the dough. 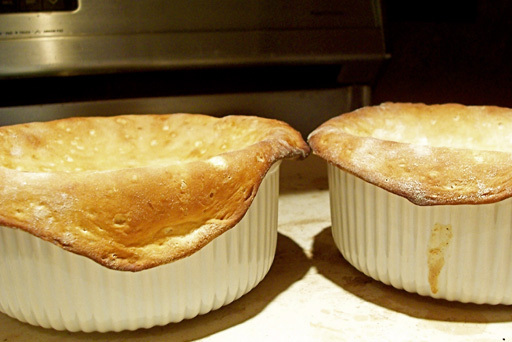 Place the ramekins in the preheated oven and bake for 12 minutes. Now I say 12 minutes as that is what the recipe I followed said. BUT mine burned. Thats right, the dinner I was SO excited about, burned. I was extremely sad, to say the least. SO I say do more like 10 minutes...or just really pay attention. Remember all you are doing here is baking the crust, the rest is cooked already. In spite of burning the edges of the crust a bit, the rest was still very good. 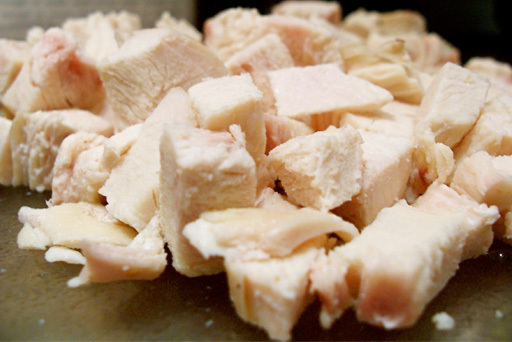 And I would never have guessed it was slimmed down from your typical pot pie. So I would definitely do this again, but just pay better attention to the baking portion. "Enter the chicken pot pie" !!!!! Love that. Designer Arsenal: What's in the Bag?